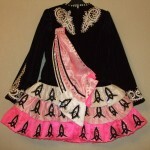 Beautiful irish dancing dress for sale. 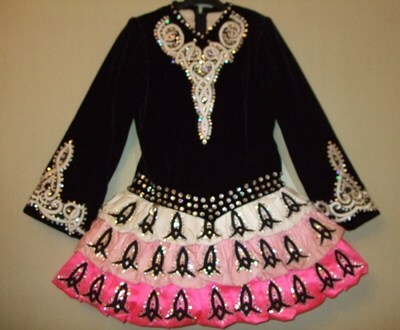 Twinkle black velvet bodice with white applique and 3 tier puffball skirt with celtic applique. 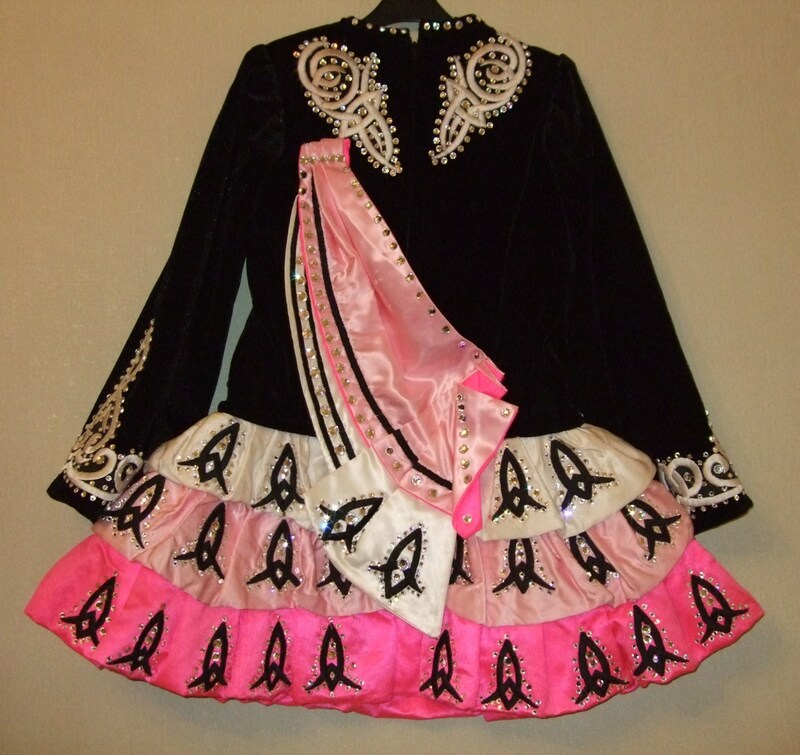 The dress is adorned with 100’s of genuine swarovski clear crystals ranging from ss40’s, ss34’s, ss30’s and ss20’s giving ultimate sparkle appearance. Comes complete with pants and headband. 2 inch let down on sleeve. 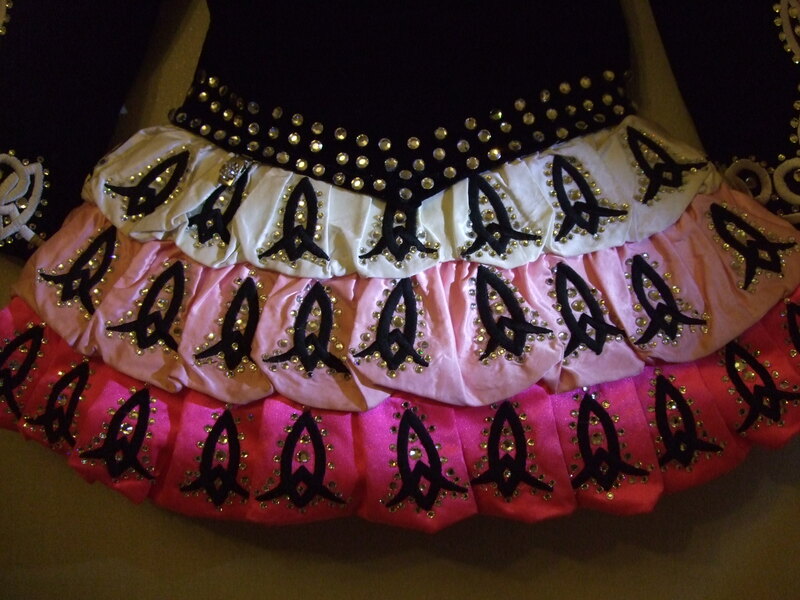 Asking Price: Â£400. 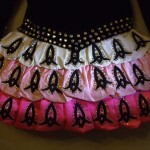 Shipping costs not included. Returns are negotiable.